NewerTech has an Intelligent Battery Charging Station that can load two batteries and smartly charge them without over charging either. Once the first battery is charged it begins charing the second battery. The station also has a deep conditioning cycle that NewerTech claims extends the life of the battery. 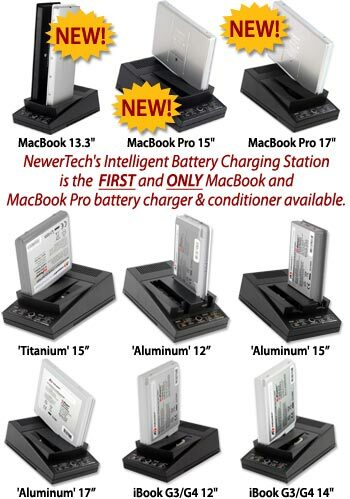 Battery Charging Station models are available for the Apple MacBooks, Apple MacBook Pros, and Apple G4 PowerBooks. Do you have one? How do you like it?